The Governing Body has a duty to ensure that the school meets statutory safeguarding responsibilities, and the children and young people who attend the school are safe. The Safeguarding Board will ensure the school carries out it’s functions with a view to safeguarding and promoting the welfare of children, and with regard to the statutory safeguarding guidance issued by the Secretary of State. Safeguarding and promoting the welfare of children is everyone’s responsibility. The Governing Body, via the Safeguarding Board, will appoint appropriate senior members of staff, from the school leadership teams, to the role of “Designated Safeguarding Lead”. The Designated Safeguarding Lead for each school will take lead responsibility for safeguarding and child protection. This should be explicit in the role-holder’s job description. The Governing Body, via the Safeguarding Board, will ensure all staff members and relevant others have access to relevant training and are aware of systems and policies within their school which support safeguarding. Staff Training: The child protection policy. Staff Training: The anti-bullying policy. Staff Training: Raising concerns and whistleblowing. The staff behaviour policy (sometimes called a Code of Conduct). The role of the Designated Safeguarding Lead. Appropriate staff and Governors training. The Governing Body, via the Safeguarding Board, will endeavour to ensure that all children, regardless of their circumstances, will receive a full time education, which is suitable to their age, ability, aptitude and any special educational needs they may have. Effective information sharing between parents, schools, colleges and local authorities. The maintenance of up to date admission and attendance registers. A regular review of attendance figures. 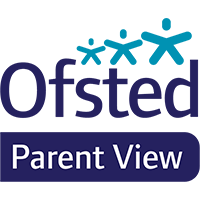 Health and safety reviews undertaken termly, and any relevant issues / action plans are reported to the Safeguarding Board. A designated Health and Safety Governor. Fire drills to take place termly. The site is a safe environment for all. The school culture is one in which pupils feel safe. The governing body, via the Safeguarding Board, will prevent people who pose a risk of harm from working with children. Ensuring that safe recruitment processes and practices are in place. Adhering to statutory responsibilities to check staff who work with children. Taking proportionate decisions on whether to ask for any checks beyond what is required. Ensuring volunteers are appropriately supervised. The school or college should have written recruitment and selection policies and procedures in place. The Governing Body, via the Safeguarding Board, will ensure there are procedures in place to receive, investigate and take appropriate action if allegations of inappropriate behaviour or conduct are made against teachers, head teachers, Governors, principals, volunteers, other staff and children / pupils. The school managing allegations clearly and effectively, in line with the Child Protection Policy / employment policies. The Governing Body, via the Safeguarding Board, will ensure there are relevant policies and governance procedures (e.g. audits) in place to ensure that areas for improvement will be identified at the earliest opportunity and appropriate action can be taken in a timely manner to safeguard and promote children’s welfare. A safeguarding audit will be undertaken in both schools annually. Any significant findings and actions identified or agreed will be reported to the Safeguarding Board. The Child Protection Policy (CPP) is in place, up to date and reviewed annually. All other relevant policies (e.g. Anti-Bullying Policy)are in place (safeguarding file) and reviewed / updated regularly. The Governing Body, via the Safeguarding Board, will ensure that staff have the skills, knowledge and understanding necessary to keep looked after and vulnerable children safe. Ensuring the Child Protection Policy reflects the additional barriers that can exist when recognising abuse and neglect in children with special educational needs and / or disabilities. Children’s own concerns / complaints are heard and addressed. Ensuring that the single central record is up to date. The Governing Body, via the Safeguarding Board, will ensure that children are educated in the safe use of online resources, and safeguarded from potentially harmful and inappropriate online material. Online Training / teaching for staff and children. Relevant policies include reference to online safety. Ensuring school IT systems are equipped with appropriate filters and IT monitoring systems are in place.